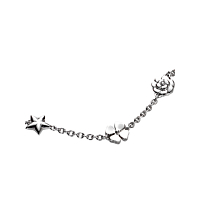 Two resplendent stars and three immaculate flowers grace this sublime motif bracelet from Chanel’s popular Camelia line of jewelry. While the two stars and their adjacent two flowers each match, the central flower is designed with two layers and added petals, clearly demarcating it as the central motif of the five. 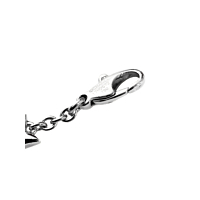 Cute and chic, this 18k White Gold bracelet sets the standard for stylish luxury accessories.